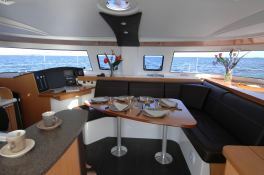 Departing from Angra Dos Reis south of Rio de Janeiro, this catamaran Lipari 41, with 4 double cabins, can accommodate up to 8 people in comfort. 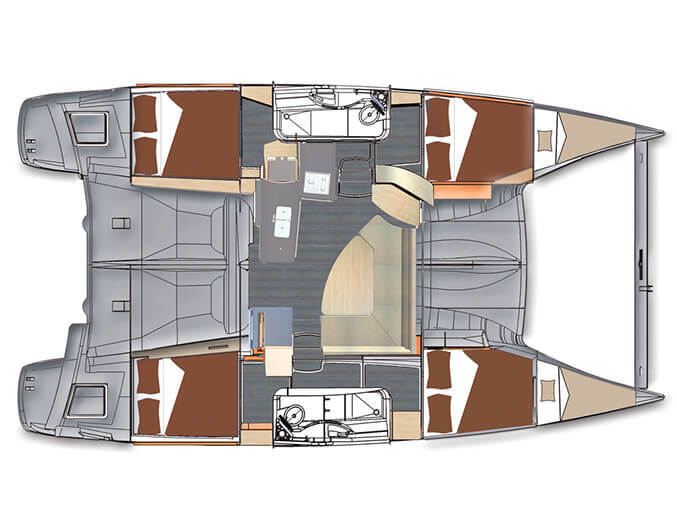 The Lipari 41 has all the navigation and comfort equipment necessary for a sail in Paraty Bay in Brazil. 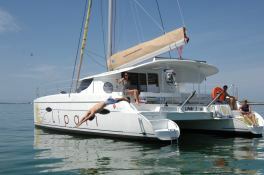 This catamaran charter will start from Angra dos Reis and will take you to a large bay with more than 365 islands including Ilha Grande, Praia da Lula, Praia Vermelha, Enseada do Passo, Conceicao or the islands of Araujo and Sapeza. 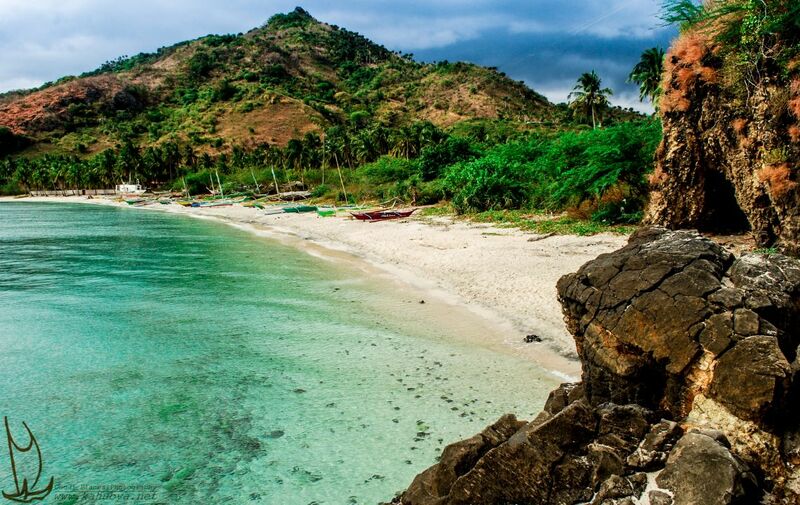 You will enjoy the sandy beaches, scuba diving, wildlife and abundant vegetation. This region of Brazil offers you favorable weather conditions enabling leisurely navigations. 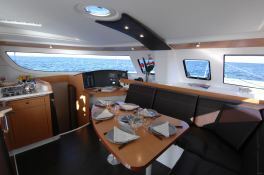 This makes the chartering of a monohull or catamaran very easy. While sailing in Brazil do not miss a visit to the magical place, the city of Paraty. Paraty, built in the 17th century, was for a long time the port of departure for gold from South America to Europe. Today its colonial style makes it one of the most charming cities of Brazil. 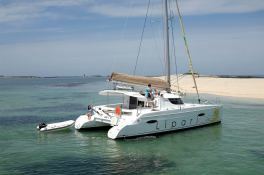 This catamaran is available for yacht charter with a base price of 7 800 € (approximatly 8 796 $).